Lexus will reveal the new RC F at the North American International Auto Show in Detroit on January 14, a sports thoroughbred model based on the RC coupe which made its debut in Tokyo in November. output set to be well above 450 bhp. 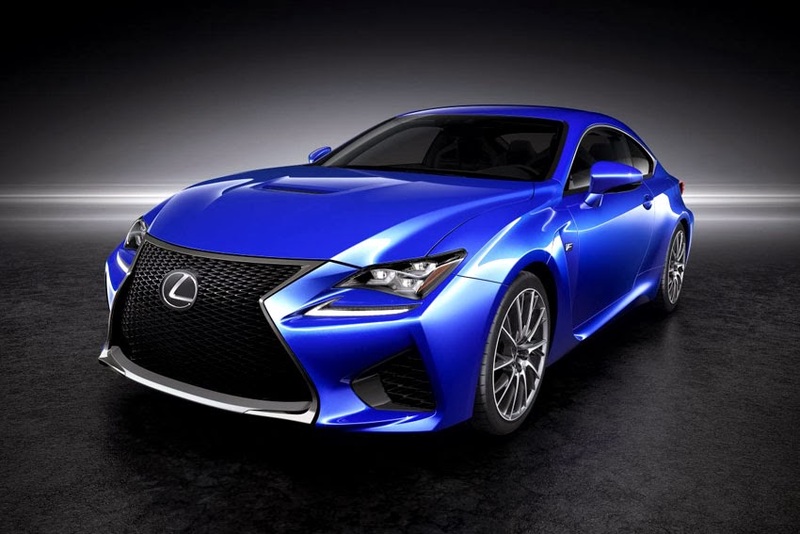 Its status as the most powerful V8 road-going car Lexus has yet built is reflected in styling optimised for stability at high speeds, including wider wheels and tyres, an active rear wing, air scoops, cooling ducts and carbon fibre components. Each element delivers what Lexus calls 'functional beauty' to the overall design. "The form of each component is carefully designed to contribute to performance," said Yukihiko Yaguchi, RC F Chief Engineer. "Unique air outlets in the bonnet and rear section of the front wings contribute to optimum engine cooling and handling stability. They create a powerful look that immediately conveys the expectation of a dynamic driving experience."